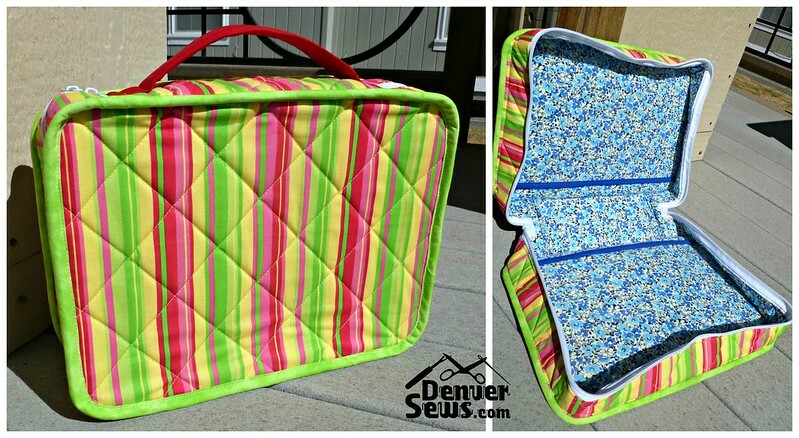 I bought the Sew Sturdy Travel Organizers Craftsy class last August! I love trying to make structured bags and I just couldn’t resist something that looked like a suitcase. But I was dismayed that I needed some specialty items that I didn’t already have: Soft and Stable foam stabilizer and some very very long purse zippers. Sometimes it’s a little off-putting to find that the instructor is selling more than just her pattern. In this case, Annie Unrein (the instructor and pattern author), is also encouraging us to buy her “By Annie Soft and Stable” foam stabilizer and long purse zippers. Neither of these two items are specifically mentioned in the “materials” list on Craftsy. This was annoying enough to me that I gave up on this class. Fast forward to 2015, Paula V (Purses by Paula) recently gave Soft and Stable a try for another purse she made for Sew Sweetness (Paula’s is the turquoise bag). She used Soft and Stable as a sew-in interfacing and the bag looks fantastic! So now my interest is revived and I went ahead and bought some Soft and Stable. 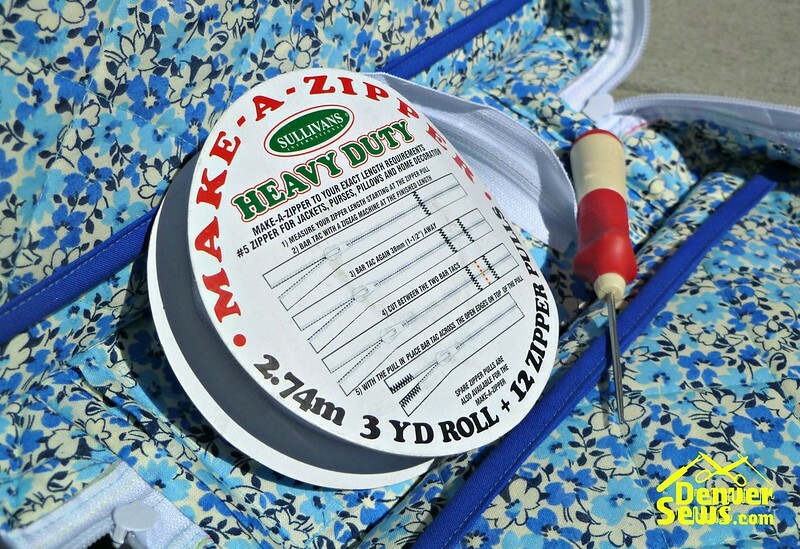 I also found a 3 yard package of Heavy Duty Make-A-Zipper at Colorado Fabrics (Littleton, CO) which fit the bill for a 39″ long zipper. 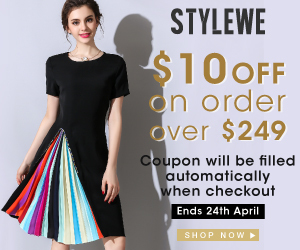 It comes in different colors. I picked white for the most versatility. If you buy the Craftsy class, you’ll get two patterns: the Everything in its Place bag and the Hanging Cosmetics bag. I only made the Everything in its Place bag which looks like a suitcase. This pattern also contains instructions to make an insert of two “pages” worth of vinyl pockets with zippers to hold various items. I did not make these page inserts nor included the hook and loop tape to hold the pages inside the bag. I also opted to use vinyl instead of mesh for the two interior pockets in the bag. For both patterns, you get printable instructions. But the instructions are not enough by themselves and you really need to follow along with the Craftsy class video. The first 4 out of 7 lessons in the class focus on the suitcase bag. Annie Unrein is very thorough about explaining most aspects of the bag’s construction and has some excellent advice about using a stiletto (a new tool for me), teflon feet, zipper feet, and Clover Wonder Clips. She also provides some excellent instructions for how to sew your binding ends together and for “making” your zippers properly. This was a pretty tough bag to construct well. So tough, in fact, that I didn’t even try to make it pretty. Let’s just say that I have issues trying to apply binding in tight corners. 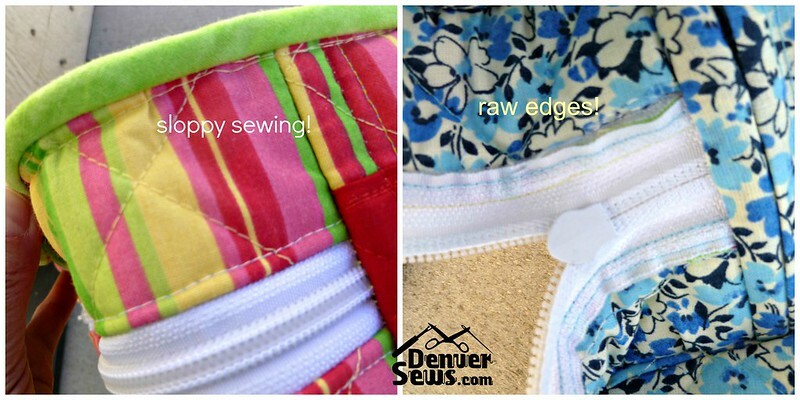 And if you’re a stickler for covering raw edges, you’ll be a little unhappy with the exposed zippers on the inside. That said, the bag is structurally sound and has the potential to be a useful for any number of things. The Soft and Stable is used as a sort-of quilt batting and structural interfacing. Probably one of the most time-consuming aspects of this project was quilting the body pieces. I don’t think that the quilting is absolutely necessary. In Paula’s bag, she used it as a sew-in interface and it provides a super smooth finished look. I think we’ll be seeing a lot more bag patterns that suggest using Soft and Stable. Ah ha! This bag was definitely lacking some je-ne-sais-quoi. I recently made a couple Dimensional Flowers from this Anita Goodesign Mini Collection and one was perfect for this bag. Doesn’t that look better? Will I make this pattern again? I’m not sure. It was very time-consuming and there are other structural bags like these Train Cases from Sew Sweetness (Sara Lawson) that I’m hoping will be a little easier. But overall, Annie Unrein provides a lot of excellent advice and detailed instructions for this challenging bag. your bag is beautiful. I love your embroidery work too. They look very soft, is it sturdy? Your colors are always bold and bright, which are my kind of colors. These craft items are expensive. I have all the materials for a new bag and I spent $64. I have more an appreciation for hand bags now. I think your bag is super cute. I know the quilting was a long process. I did a quilted duffle bag and said never again. Thanks for the mention. Girl, I am sew proud of you. Great job!!!!! I only recently discovered the S & S and yes, it is cost prohibitive. Hopefully now that I have started working a little piece of job I will be in a position to afford these extra “surprise” supplies needed to complete cool projects like this one.